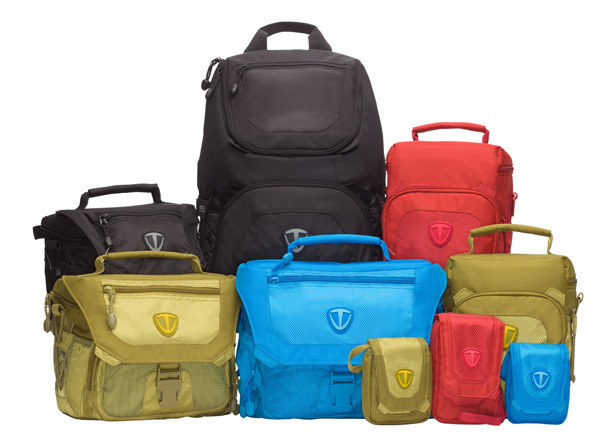 Tenba has announced its new Vector collection of colorful camera bags. 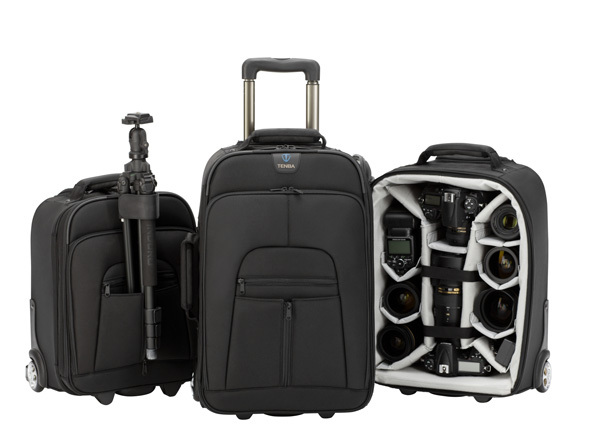 The Vector series bags are geared toward the consumer and prosumer audio, with an emphasis on design and function. There are a variety of bag types, such as compact camera pouches, DSLR bags, shoulder bags and large daypacks, which allow for all sorts of camera arrangements. The new bags range in price from $12.95 to $79.95. Check availability at B&H Photo. 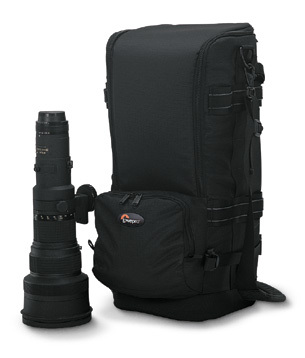 Calling Clik Elite’s products ‘camera bags’ is a bit of an understatement. So, consider the keyword in the title to be ‘adventure’ instead. I ran into the guys from Clik Elite at PMA 2010, and they were kind enough to give me a rundown of their product line. As they showed me some of the features of the camera bags, I spent most of my time commentating with words like ‘cool’ and ‘oh, wow’. PHOTOKINA 2008, KÖLN, Deutschland – September, 23 2008 – Lowepro, creator of innovative carrying solutions for the imaging world, introduces the next generation of its pro-level Lens Trekker series, designed for the distinct requirements of nature and sports photographers who carry a telephoto lens and camera gear into rugged environments or crowded sports stadiums. The Lens Trekker 600 AW II addresses the needs of the professional who has a significant investment in expensive telephoto lenses.